Goodreads: Carly Westlake is living the dream. She spends her days at a spa (okay, so she owns the place), she's dating a hunk, and she's surrounded by chocolate-milk chocolate, her favorite-that she uses for the chocolate facials that made her spa famous. But when long buried secrets threaten Carley's business and her friendship with business-partner Tom, she fights like crazy to keep the dream-and the illusions-afloat. 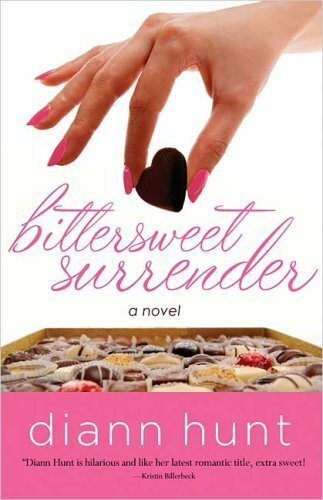 Kritters Thoughts: A chocolate spa, cancer survivor, friendships, and family should make for a great girlie read to start the Valentine's Day season, but this book fell short in many ways. The main character Carly has survived it all - father passed away, breast cancer survivor, best friend passing away and step mother moving in, with all this tragedy the book started out in a low and depressing state. The reader follows Carly as she is trying to put pieces back together, but it takes quite awhile for the chips to fall, a little too long. Without being so glum, I just didn't enjoy this one and I was prepared to fall in love at page one. When a book is slow to start and doesn't pick it up, it is hard to keep chugging along. I kept wanting the story to get going, but I was left in the same place with her fussing about her physical appearance or stressing about life. The sweet ending helped the book, but didn't make me cross the fencing to loving this book.